Banns need to be read in the parish where each of you live as well as at the church you wish to be married in (if different). If you both live in the parish, then the Banns only need to be read at here at St Mary’s (for West Malling) of St Michael’s (for Offham). You must have your banns read out in church for three Sundays during the three months before the wedding. This is most usually done over three consecutive Sundays. If there is not enough notice given for the Banns to be read before the marriage is due to take place, or in the case of the marriage of people whose nationality is not British, or if one or both of you do not live in England, you must apply for a Licence rather than have Banns read. This is especially recommended if there is any doubt as to the legal requirements of the home country of a non-British person for recognition of an English Church marriage. If you are under 18 years old you will need your parents’ consent to marry and by law you cannot be married in the UK until you are 16. To be legal the wedding must take place between 8am and 6pm. There are special guidelines on marriage in the church if you are divorced. There may well be a way forward, but you will need to talk to our Vicar about your situation to explore the possibilities for you. We’ve put more information on marriage after divorce in our Frequently Asked Questions. There are some circumstances in which you may need a Special Licence, Common Licence or a Superintendent Registrar’s Certificate to marry in church. We’ve put more information on licences in our information on who qualifies to marry here. 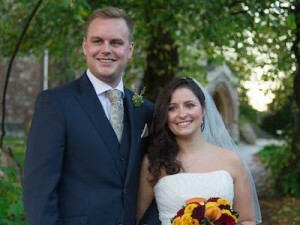 It is now much easier to marry in a church that has a special connection for you, even if St Mary’s or St Michael’s is not your own local parish church. There’s a special page of information available on this website.